We've heard whispers and rumors of a new Motorola device dubbed the "DROID Fighter" (no relation) heading for Verizon. Today, we've got our first look at the device via Mr. Blurrycam. 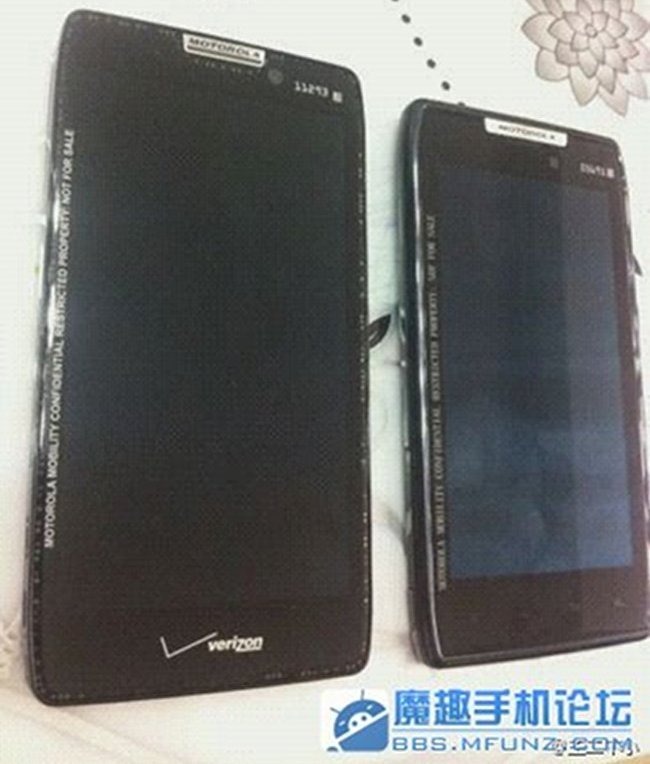 The device was snapped sitting next to a DROID RAZR, highlighting the notable differences of a larger, possibly HD screen and no capacitive buttons. It can only be assumed that this device, if released as-is, would be an Ice Cream Sandwich device at launch due to its lack of capacitive buttons. 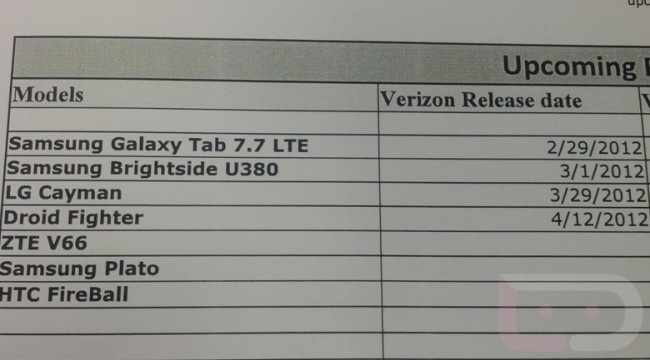 According to a new document acquired by Droid Life, the DROID Fighter and LG Cayman (which, according to DL, is the LG Lucid 4G) are slated for official releases starting later this month. The LG Cayman is poised to debut March 29th, while the DROID Fighter will be appearing April 12th. Interestingly, the release dates shown match exactly with the workshop dates we reported a couple of weeks ago. In addition to the LG Cayman and DROID Fighter, the document lists a couple of new devices – the HTC Fireball (which Droid Life's sources are calling the Incredible 4G), and the Samsung Plato, which Droid Life last saw way back in August, listed for a January release.